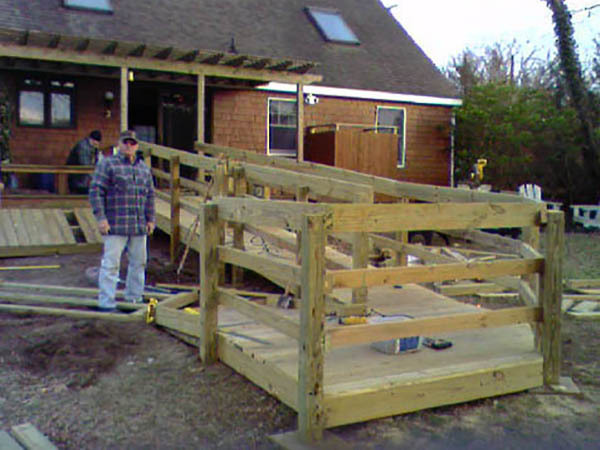 We build sturdy beautiful wheelchair ramps that can be constructed in any length and configuration and are ADA (American's with Disabilities Act) compliant. 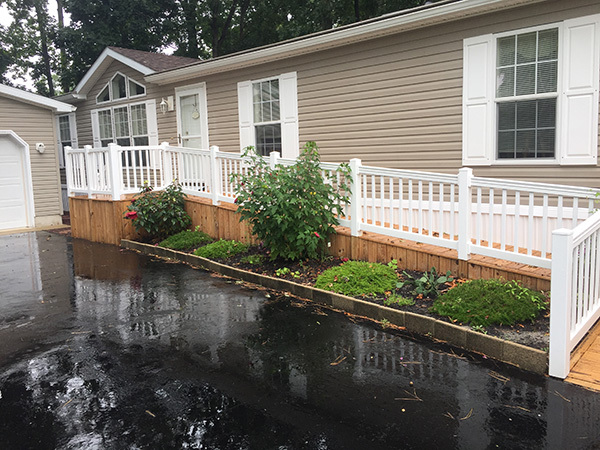 If you need a wheelchair ramp for your home or business call us as we specialize in wheelchair ramps for commercial and residential properties. 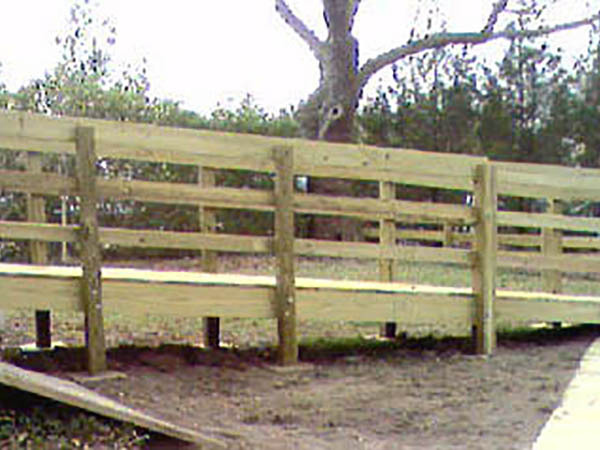 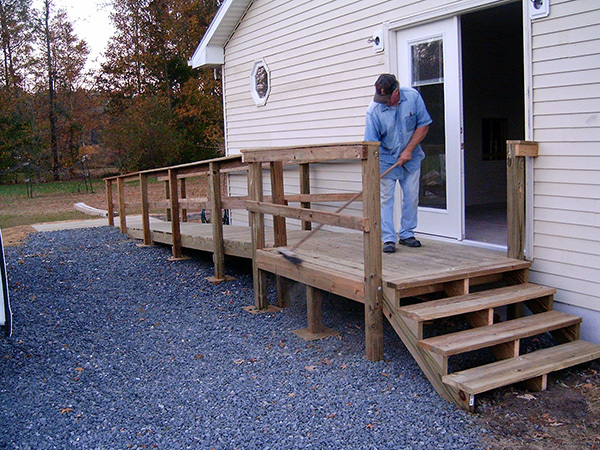 A handicap ramp can be fancy and include spindles plus we can add a hand rail. 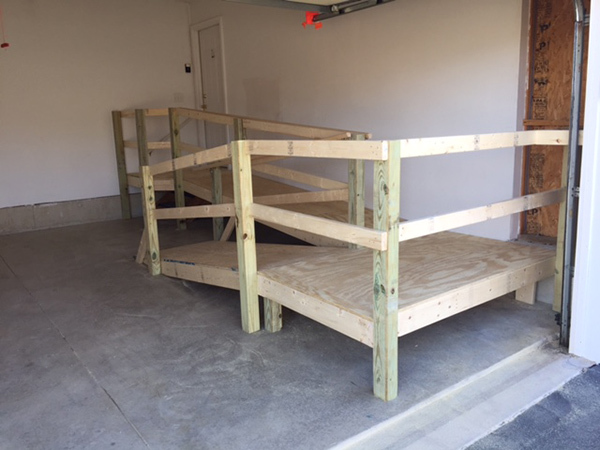 Portable wheelchair ramps. 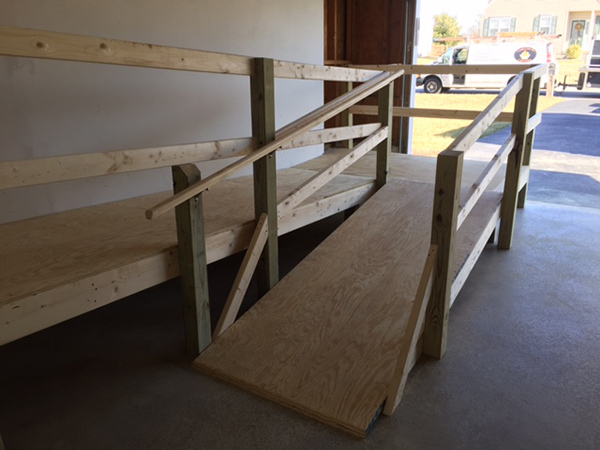 If you do not need a long wheelchair ramp and only want something short to use for going up and down a curb, a smaller step or for travel, we carry portable wheelchair ramps that can be taken along and stored when not in use. 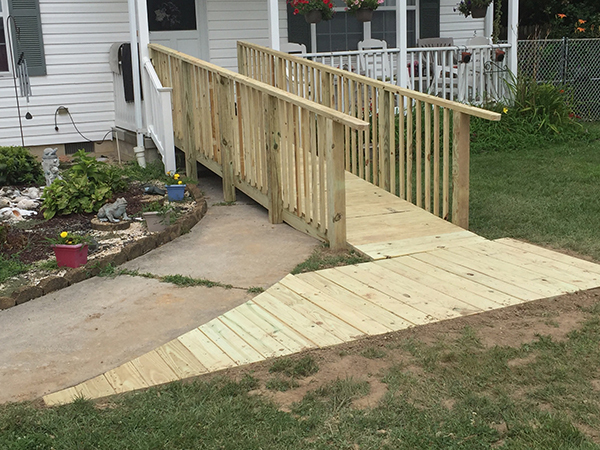 If you have family members or friends who use a wheelchair, and only need a wheelchair ramp when they visit, a portable wheelchair ramp may be just the thing you need. 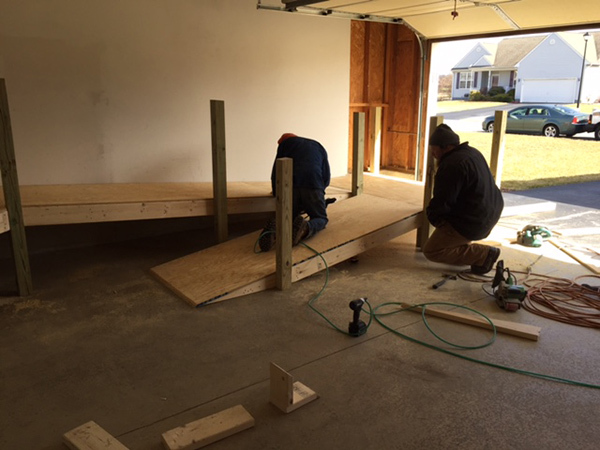 Threshold ramps. 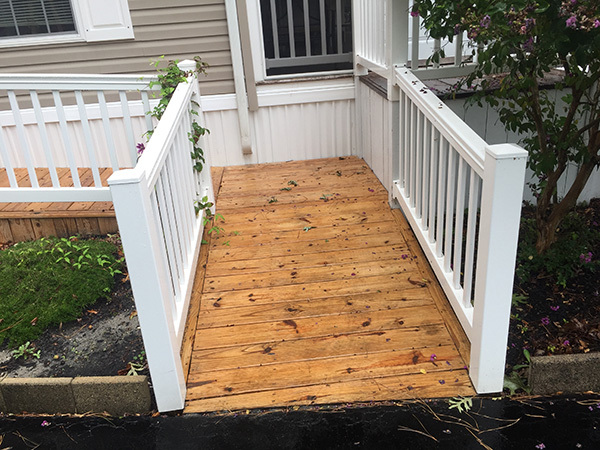 Our threshold ramps will allow you to access your doorway with a wheelchair. 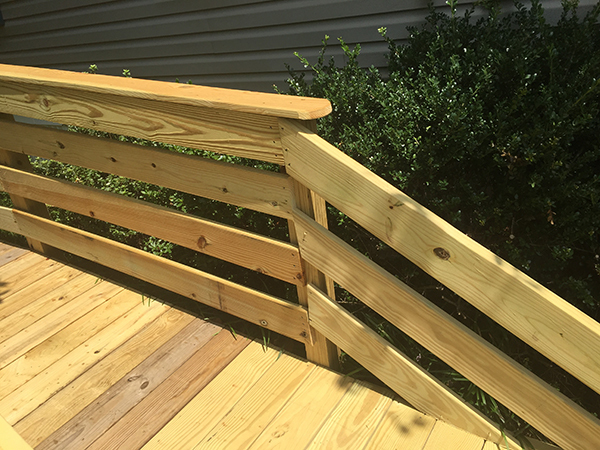 A threshold ramp is like a mini wheelchair ramp and provides enough of a wedge to get a wheelchair safely through the doorway. 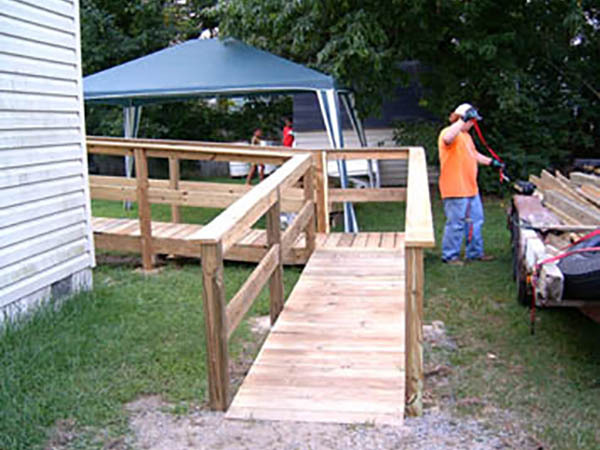 Access ramps are not only for wheelchairs. 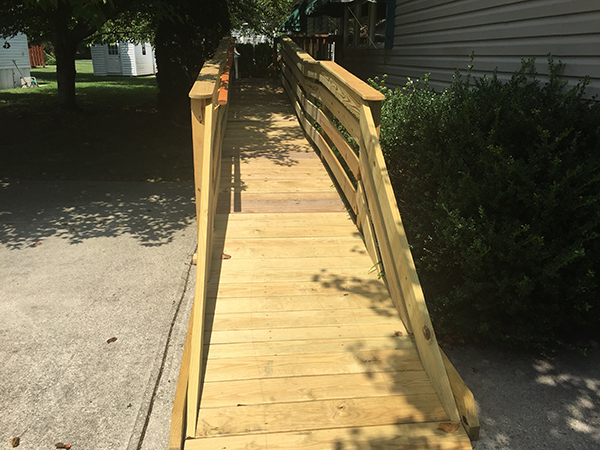 Not only will someone who has a handicap or disability benefit from an access ramp, but they are great for strollers, other mobility issues or fatigue. 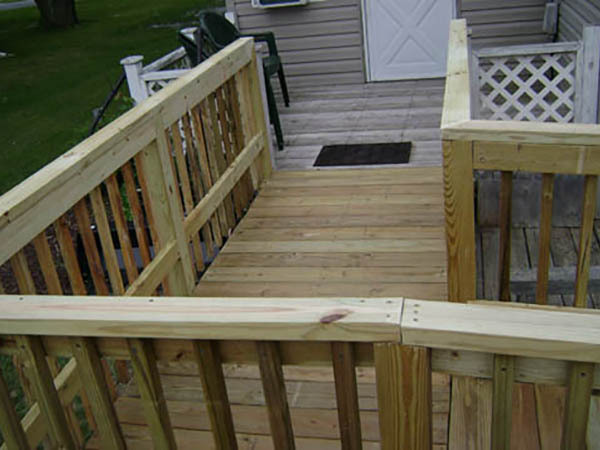 A wheelchair ramp or access ramp will also add value to your home.